Confessions of a Book Addict: Blog Break! Hey guys! 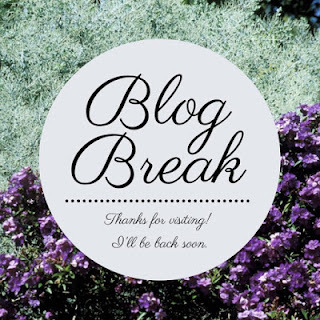 I will be taking a blog "spring break" to spend time with my family, enjoy the Easter holiday, and prepare for the most wonderful time of the year....my Summer Kickoff feature. I am beyond excited and can't wait to share my thoughts on the best beach reads for the summer of 2017. I will be posting once during my blog break as I am part of a blog tour for Karen White's The Night the Lights Went Out. It's a fantastic read, so be sure to check out my thoughts on it this Thursday and there's a giveaway, too! Other than that post, it will be quiet around here. I'll be back the week of the 24th! Enjoy your break and have a great time with your family! Happy Easter and enjoy the break! !